Air Serv flies relief workers to Iran to assist with earthquake response - Air Serv International, Inc.
Kabul, Afghanistan, Dec. 29, 2003 – Air Serv International in collaboration with PACTEC, its partner in Afghanistan, flew a European Community Humanitarian Operations (ECHO) evaluation team to Bam, Iran, yesterday from Kabul to assess the earthquake damage and plan for the arrival of relief workers and supplies. Captain Daniel Juzi, Swiss, and pilot Paul Stover, Canadian, flew a King Air 200 from Kabul to Kerman and then to Bam, site of the earthquake. A second aircraft belonging to PACTEC, was used by the International Red Cross and the Iranian Red Crescent to conduct aerial assessments in the Bam area. The Iranian government is providing the fuel for the humanitarian flights. 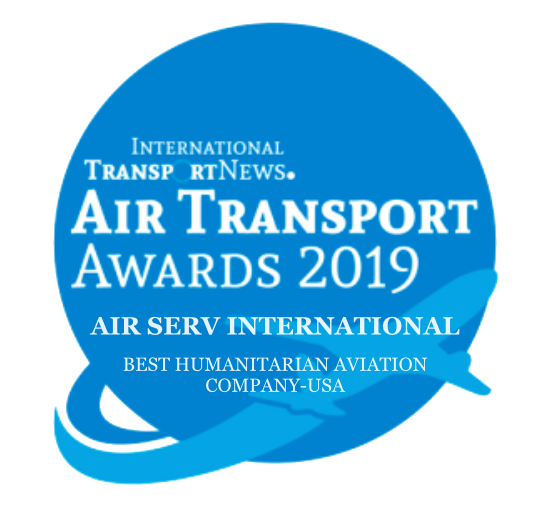 Air Serv International and PACTEC are international humanitarian aviation services that have provided humanitarian flights within Afghanistan since 2002. Air Serv International’s mission is to use aircraft and other appropriate technology for relief and development, restoring hope for the suffering. Air Serv provides safe, reliable, and cost-effective air transport to humanitarian agencies involved in relief and development activities. In 19 years, with more than 140,000 flights and 16 million miles, Air Serv has never had a flight-related injury or fatality, although it flies most of its flights in the rough conditions of the developing world. The company’s schedule reliability is over 98 percent, in part because it prepositions spare parts and conducts an aggressive maintenance program.